Look, we know Sam Darnold’s a rookie, that he’s turnover prone, and that he was bound to hit a wall. You expect a rookie to make mistakes, no matter how good his intangibles are. But the lack of a consistent supporting cast, coupled with Jeremy Bates appearing unwilling to remove the training wheels, hasn’t helped at all. Injuries to Bilal Powell, Quincy Enunwa, Robby Anderson, and Spencer Long have taken away talent around Darnold. The running game has been stagnant, in part because of a mediocre offensive line. And the passing game? It’s dependent on a bunch of screen plays and trickery that’s not fooling anyone rather than allowing Darnold to roll out of the pocket and take some shots deep (his bread-and-butter). It’s plain and simple: smoke and mirrors have not produced a pass rush for the Jets. Leonard Williams has improved, but he can only do so much. Brandon Copeland and Henry Anderson have had their moments, but the other cast members (Jordan Jenkins, Darron Lee, Nathan Shepard, etc.) just haven’t been quick enough. This has led to the defensive backs getting beaten on deep plays too many times to count. It’s made Trumaine Johnson look nothing like a $72 million dollar man, while the rest of New Jack City is completely penetrable, no matter how impressive Jamal Adams has been. The players can try to defend them all they want, but the coaches of this team seem to be asleep at the wheel. Bates may be a quarterback whisperer (it’s only been 9 games for Darnold), but he hasn’t whispered any life into this offense. He plays it too safe and doesn’t leave enough room for Darnold to improvise. While Kacy Rodgers’ comeback was inspiring, the performance of his defense has been the complete opposite. They’ve allowed quarterbacks like Brock Osweiler and Matt Barkley to look like John Elway and Joe Montana. And according to the team’s lone energizer bunny, Mr. Adams, it’s due to preparing to play against the wrong quarterback. And Todd Bowles? Come on, man! Where’s the emotion? The passion? The common sense?! Like maybe if your center is having trouble snapping the ball to his quarterback due to injury, and it’s leading to turnovers, take him out of the game! At the end of the day, we knew this team wasn’t going to go very far this season, but things clearly have to change. Darnold, if healthy, should continue to play and develop his game. The culture of the team needs to change, which could (and should) spell the end of the Bowles (and Bates) era at the end of the season. 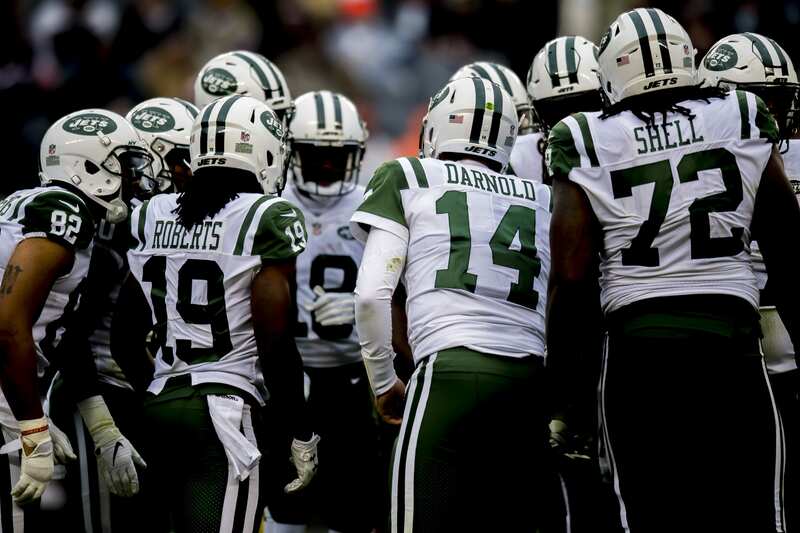 $100 million in cap space and new draft picks should provide a much-needed facelift, but new leadership and sustained growth of the cornerstones, Darnold and Adams, are what the team really needs to take flight in 2019.